This awesome art from Star Wars really pops! 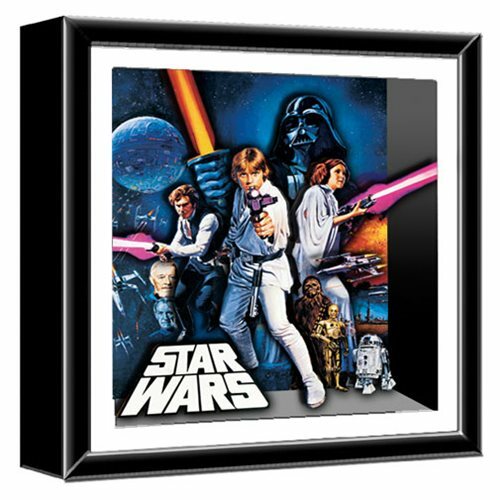 The Star Wars A New Hope Wood Shadow Box measures 14-inches tall x 14-inches wide and features images from Star Wars: Episode IV - A New Hope. Included are Darth Vader, Luke Skywalker, Han Solo, Princess Leia, and more. Place it on your shelf or use the attached mounting hooks to hang it on the wall! Ages 14 and up.